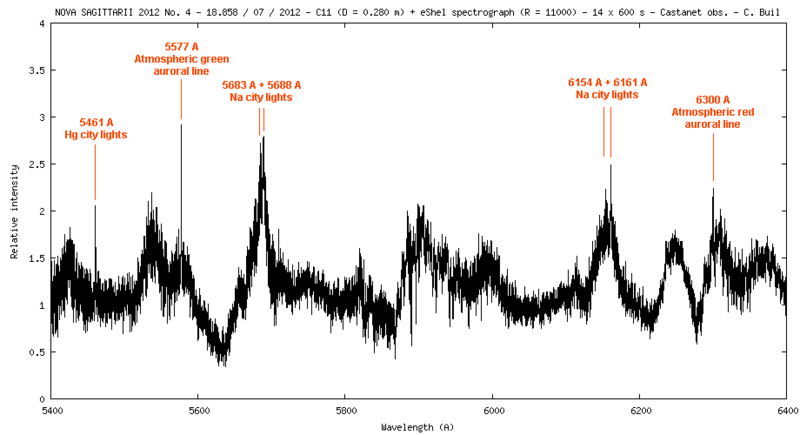 Discovered by Koichi Nishiyama, Kurume,Japan and Fujio Kabashima, Miyaki,Japan at mag.= 7.8 in Sgr on two 40-s unfiltered CCD frames taken around 2012 Jul. 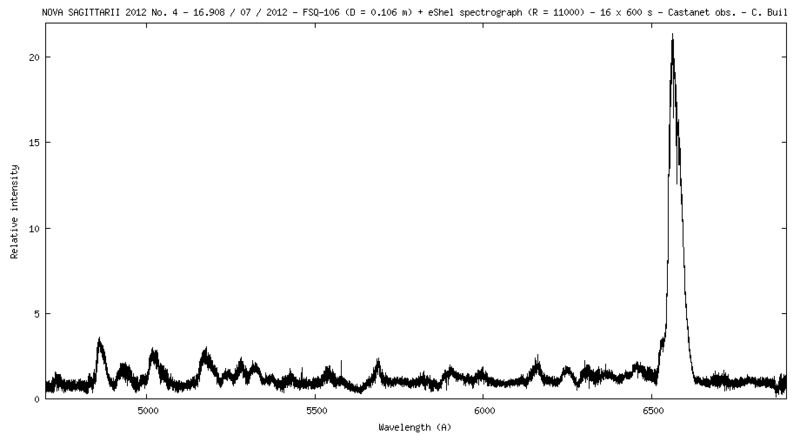 07.4986 UT ( limiting magnitude=13.7 ), using a 105-mm f/4 camera lens (+SBIG STL6303E camera). 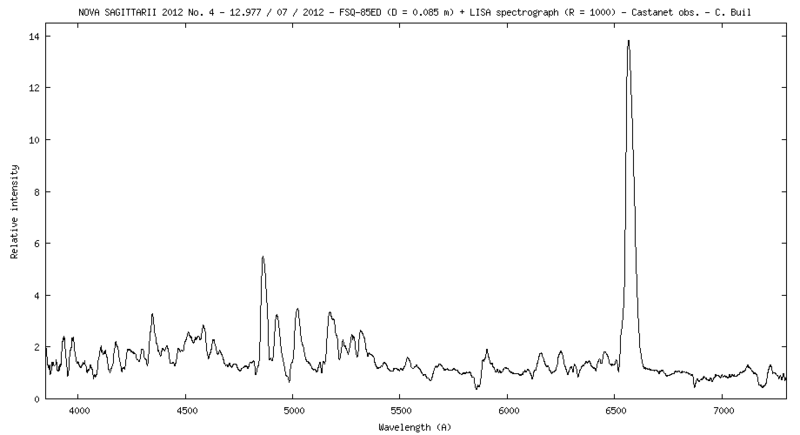 Note: Atmospheric extinction and instrumental response are evaluated from observation of star HD175892. 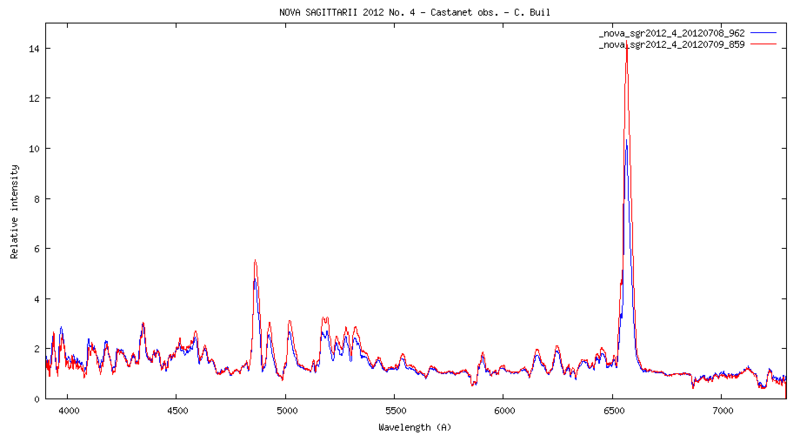 Sky background removed. 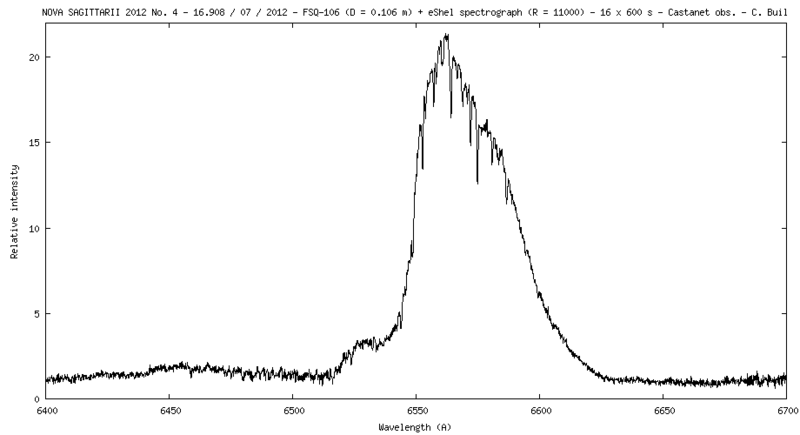 Comparison of 8.962 July and 9.850 July observations. 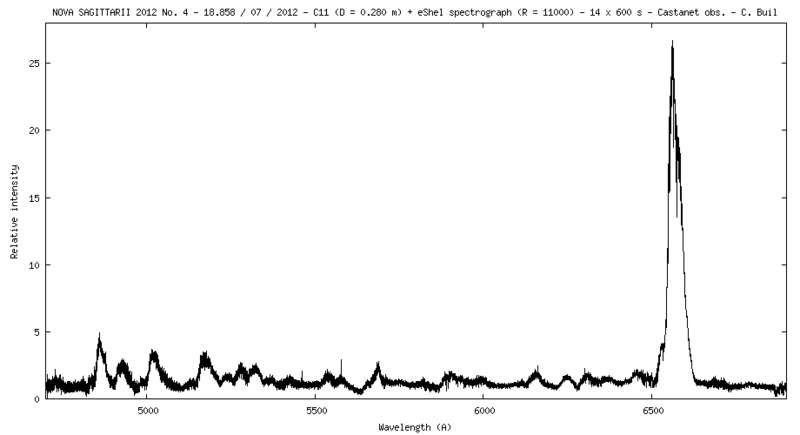 Note: Atmospheric extinction and instrumental response are evaluated from observation of star HD175892. 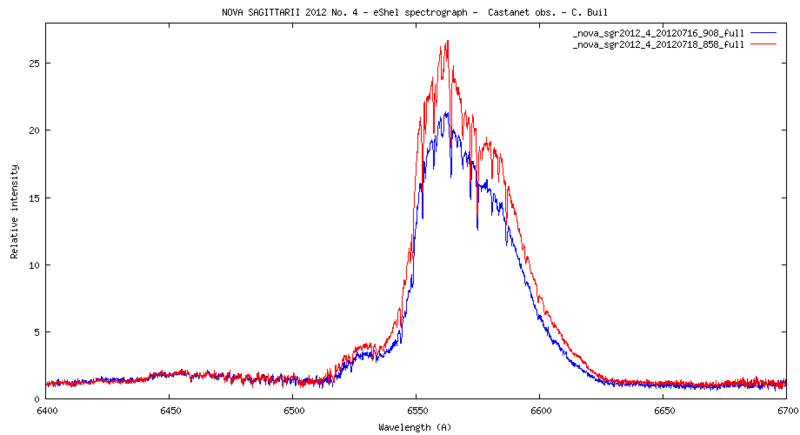 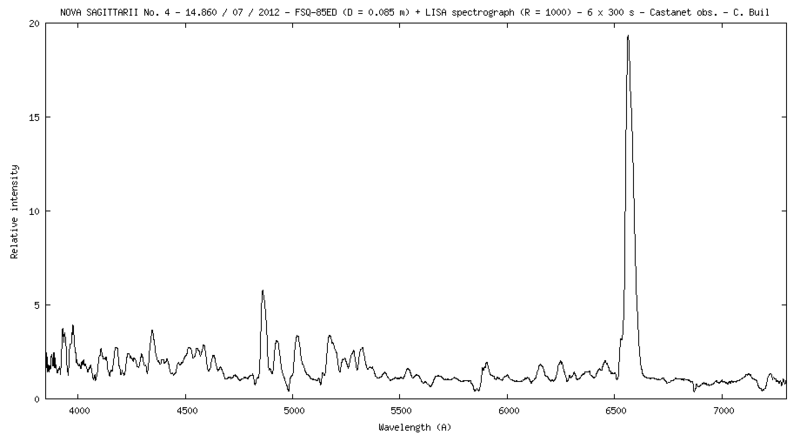 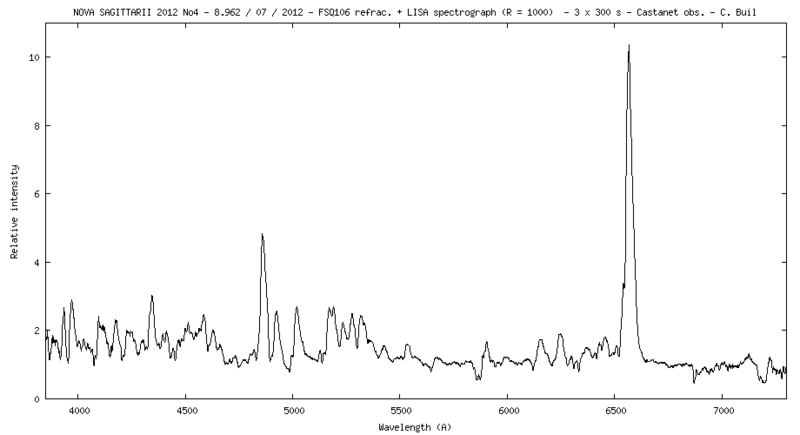 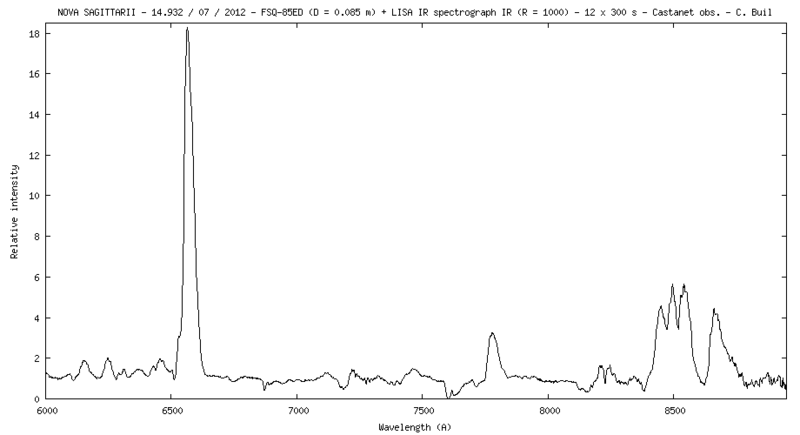 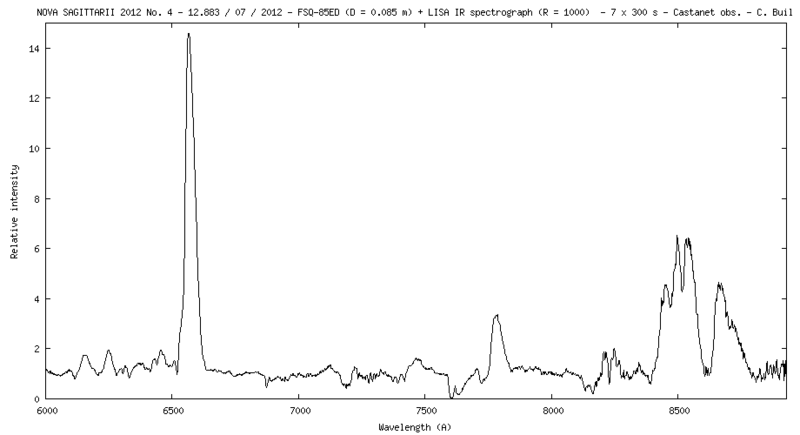 Comparison of 12.9 / 07 / 2012 and 14.9 / 07 / 2012 spectra of nova Sgr 2012 No 4. 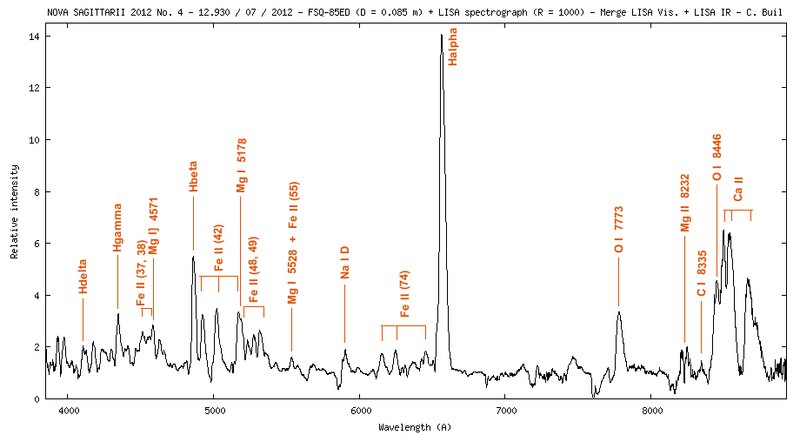 Part of the echelle spectrum - Detail of Halpha line. 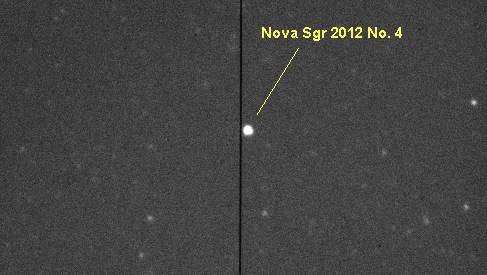 Detail of nova Sgr 2012 No. 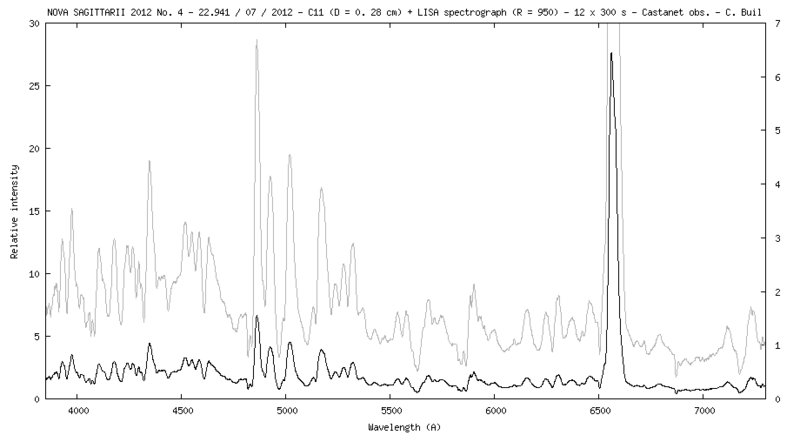 4 spectrum and identification of principal atmospheric parasitic lines. 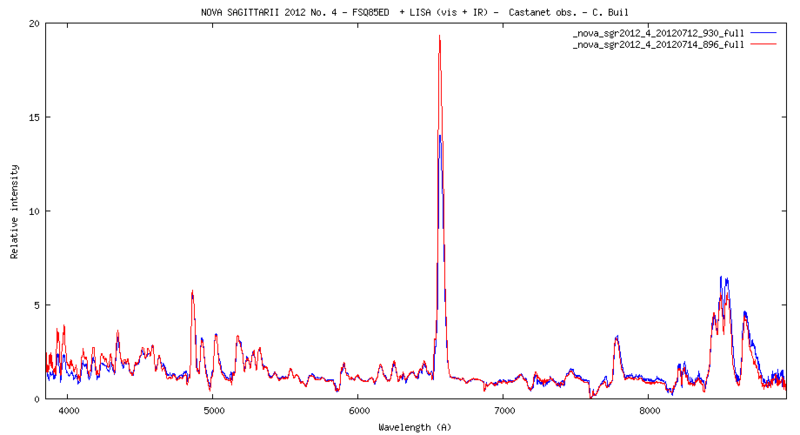 Hg and Na lines are from sky pollution (Castanet-Tolosan is a suburban observatoty). 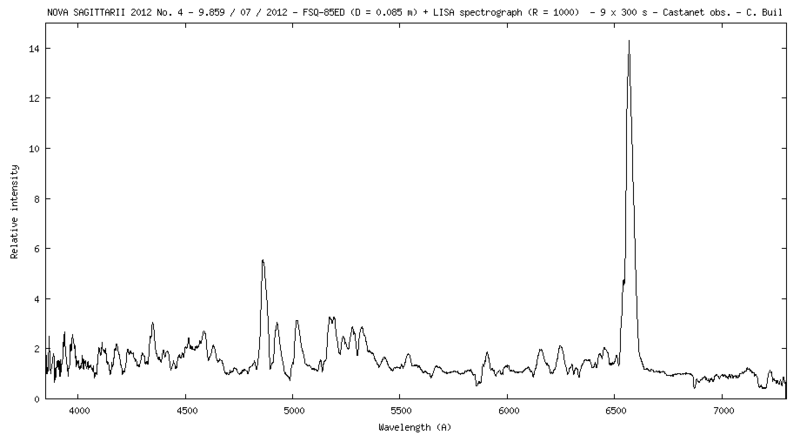 Auroral lines come from an intense solar activity at the time of observation.